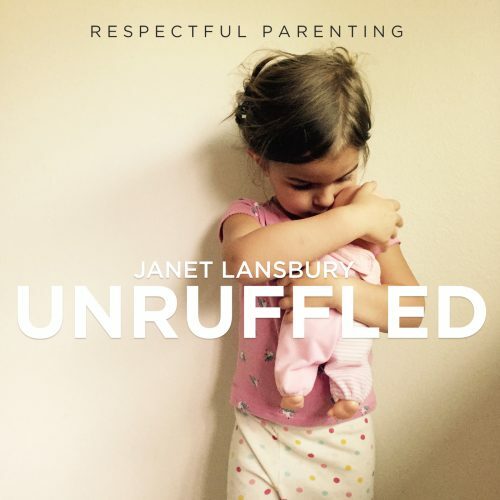 In this episode: Janet advises a parent who wants to help her easily frustrated two-year-old develop more patience. Hi. 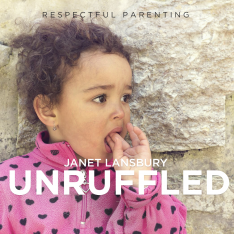 This is Janet Lansbury, and in this episode of Unruffled, I’m going to offer a parent some advice regarding helping her easily-frustrated child learn patience. 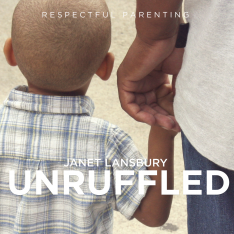 “Dear Janet, I’m grateful to have been referred to your book Elevating Child Care, and I’ve now also read and very much enjoyed the followup, No Bad Kids: Toddler Discipline Without Shame. When Luca was born, in those first few days of looking into his eyes, I saw a deep understanding that I wasn’t expecting from a baby. I remember saying to my husband that I could almost imagine him just opening his mouth and having a regular conversation with me. Luca just turned two, and I still see that wisdom in his eyes that he expresses in a way that he’s able. Before becoming a parent, I would observe many children that I thought were not polite and respectful, and often times, just out of control. It’s easy to judge when you’re not a parent, so when Luca was born, I was torn as I didn’t want to raise a kid that ruled the house, but I also didn’t want to force pleasing behaviors that were not genuine. I’m so grateful for your books, which are about raising polite and respectful kids by being the example you want your kids to follow. You gave me a way to apply discipline that allows me to stay connected, but also recognize my own limits and needs. I do also have a question if you have time at some point. How do you encourage patience? Luca is very bright and for a two-year-old has a big vocabulary. He can sometimes focus for a very long time on his own, flipping through books, playing with his Stickle Bricks, or just talking to and rearranging his cuddly toys. However, both my husband, and I, and his wonderful caregivers at daycare have had conversations about how he can also very quickly become frustrated when he can’t figure something out immediately. Blowing bubbles himself, clipping something together, opening a box. He immediately starts crying, whining even though he has the words to express what’s bothering him, and he often throws the object. Okay, so to help children when they have this, sometimes, this low threshold for frustration, we actually do what I recommend doing in many situations. In fact, if you’ve listened to my other podcasts, you’ll probably notice that there is a thread running through all of them. The most important message I think that we need to keep reminding ourselves of as parents (because it is a huge challenge), and that is just letting the feelings be, just allowing our children to experience what they’re feeling, not trying to fix it, change it, shorten it even, control it in any way. Really just trusting them to have these uncomfortable experiences. Particularly, these age-appropriate uncomfortable experiences. In this case, when her child is, let’s say, trying to blow the bubbles, and it isn’t working for him, and he flips out, well, first, he starts crying, whining, “I can’t do it.” Rather than say something there, I would really let that be what it is, and then if he throws the thing down … Well, first of all, you’re not going to give him access to unsafe objects that could hurt him if he throws them down, but obviously, you don’t want him throwing stuff. To me, this is very similar to … Even without the throwing, if he was just expressing the feeling, it’s very similar to a writer who’s frustrated (in the old days when we used to write on paper) and rips the page out of the typewriter, crumbles it up, and throws it into the trashcan. Ugh, getting that frustration out. You know, what happens when we get that frustration out, we open up something. We open up the space again where we can approach it again. Sometimes, we might let it go and move on to something else, but oftentimes, we clear the feeling, and we let go. “Okay, this is really hard,” we might say to ourselves, and then we give it a minute, and we’ve started again. Children do this too, but what happens is as parents, we tend to get caught up in it. We get caught up in wanting to teach them how to do this better or fix it for them, or we ride this wave with them, and we want it to stop. It doesn’t feel comfortable to us either. So it’s important to separate ourselves. These aren’t our feelings and it’s very safe and positive for our child to experience them. No, that’s not what I want. I want to do it myself. I really do. I just want you to let me be upset for a minute. That’s all I want. I think one of the reasons that I’m comfortable working with parents with toddlers is that I very much relate to the way toddlers feel. I got stuck in those years somehow. We won’t get into why. Who knows? But I definitely relate to them. I think we can all relate because toddlerhood is a time when our hearts are on our sleeves, our feelings are out there and all over the place. It’s very healthy time, actually. So, how annoying is it when you just want to say that you’re frustrated, and people aren’t comfortable, and they want to fix it for you or they tell you you should just do it this way? So, you’re frustrated, but you shouldn’t feel frustrated because you should know that some things are just hard to figure out, and that’s just the way life is, so don’t feel what you’re feeling. Just focus on keeping him safe while 100% accepting his feelings, so I would say something like, “Yeah, that is so hard.” Maybe even the same words that you used without the “but,” so instead of, “But some things are hard to figure out,” “It’s hard to figure that out,” connecting with him where he is in this experience. Joining him right there, “Yeah, it’s hard. This is really hard for you,” but only matching what you’re getting from him. If he’s whining, “Yeah, I hear you. That’s hard. You’re doing something hard. You’re having a hard time with that.” That’s all you have to say. I wouldn’t give him instruction. If somebody did that to me, I’d be so annoyed with them. I feel so misunderstood or just invalidated, not understood. He just needs to vent and clear this feeling so that he can move on and achieve what he’s trying to achieve, or get closer to it, or decide to give up. So don’t fear the feelings. The feelings are healthy. The rest of what this mother says in the moment is, “Next time, let me know. If you’re stuck, you can ask me for help.” Again, what all of this is saying … No, this isn’t what the mother means at all, but what this is saying to the child is, “It’s not okay for you to whine about this or cry about this. That’s not what you should be doing. You should be asking me for help. You should be …” Reasonable things. That’s very reasonable, “Ask someone for help,” but emotions are not reasonable. They are just impulses. They just pass through us. They just pop out. At this age, they’re very good at popping out, so that’s a positive thing, so don’t try to make him reasonable about emotions, and we don’t need to teach children patience. They learn this through our modeling. They learn this through the self-control that they develop, their executive function. They learn this mostly by being able to follow their own interests, which sounds like you’re allowing him to do when he flips through the books, when he plays with his bricks, when he’s playing for a very long time on his own. He already has a lot of patience. And patience doesn’t mean, especially at this age or even for me as an adult, it doesn’t mean that we don’t flip out. It means we flip out, and then we go back to it feeling better, feeling calmer, feeling like we released something we needed to release. That’s still patience. It’s just patience with some feelings around it, some messy feelings that come out. Trust his process. You’ll never go wrong trusting your child’s process, and then if he asks for help, do the most minimal thing. I probably wouldn’t help at all if the child didn’t ask me, but if a child asks, the way I help can sometimes look like I’m just giving moral support. That’s actually how we encourage less patience. So being calm, being patient, not worrying, allowing them to be in this process, not trying to jump to the finish line. Then, maybe we notice that he’s more like spit-blowing instead of slow-blowing, the kind that works. So then, maybe there’s something else we can say like, “Maybe if you put your mouth like this,” and showing him, so talking him through it, doing the most minimal thing to allow him to do more. The more he does, the more confidence he has the next time. We’re still helping. Helping doesn’t mean we do it for him. That’s not helping. Helping means that we trust him, and we are there to support him and pay attention, and again, not to expect or meet a certain outcome. What we’ll notice if we’re really there with our child and not jumping ahead to try and to make sure that he does the perfect bubble by then, if we’re really staying there, sometimes, we’ll notice that our child actually loses interest, and what’s interesting is the parents in my classes sometimes will notice that parents are staying engaged in the task and the child has already moved on. The child has dropped that and is on to something else. Trust that. Don’t jump ahead of your child and try to get them back into the experience. “Okay. Come on, let’s finish. We didn’t blow the bubble yet. Here, maybe try…” I’ve seen that happen a lot, and I understand that. That’s the parent getting caught up in the goal rather than really just being there to help their child with what the child is interested in doing. Don’t influence your child that way. Encourage them to be process-oriented as they naturally are. It’s a gift. If they can hold on to that throughout life, they’re going to achieve a lot more than somebody that feels they are failing unless they get to the end goal, so that is developing patience. Oh, and by the way, concerning the addition of the new baby, it’s especially important for you to allow him to express all his feelings. It’s always important because there’s always a reason for the feelings, but there may be extra frustration coming out during these tasks that he’s trying to do because it’s actually feelings of fear around this impending huge change in his life, which is not lost on him. I’m sure he’s heard people talking about it. I’m sure he knows that some big, mysterious, scary thing is going to happen. It’s mysterious enough to us as adults, and we have a frame of reference for it. So there’s a lot of reason for him to be whining, crying, frustrated, scared. Another reason to always trust the feelings and not try to color them, or correct them, or fix them. Accept it. It’s gold. I hope this helps. I hope it makes sense, and thanks so much for asking. Don’t forget. We can do this. I love all of this and it makes so much sense when I read it here but in the moment, when my almost 4 year old is feeling all his feelings by throwing or screaming or hitting or name calling I am having a hard time. I know he’s still young but he’s smart and I feel like he’s developing a habit of lashing out when upset. I don’t think that’s a healthy response and I don’t want it to become how he reacts to or processes stress as he gets older. What are good suggestions to help a child express anger frustration or stress? How do I develop better patience & model calm after doing it so poorly so many times?! I just subscribed & hopefully will be inspired. Thanks! Thank you so much for all you do. We have been so encouraged and found great help in parenting through so much of what you’ve written. I understand the concept above and understand from previous writings the suggestions of “I won’t let you throw that” to curtail throwing things or even them hitting you, but our little guy’s anger comes out at himself and, in his frustration or anger, he will hit or bite himself until he’s in hysterics over it. How would you handle a situation that results in self harm like that? It breaks our heart to see him do that, but we have no idea how to stop it and, in the moment, he doesn’t want any sort of comfort from us or really anything to do with us when he’s in the upset place. It makes me wonder if somehow we’re doing something wrong to make him feel like he has to react that way. Thanks so much again for all of your help and advice.